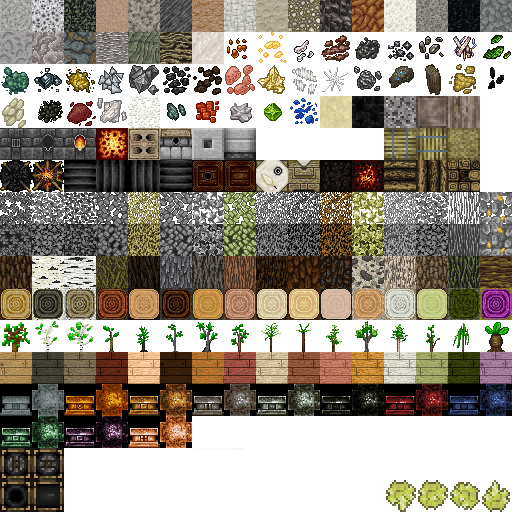 Here's my personal texture pack, I drew it to go with my other 32x stuff that I've been using, and I'm posting here in case anybody else wants to use it. 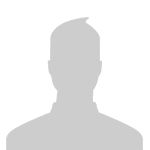 I've been releasing it on the IRC but this post will serve as a more permanent place to get it from. All vanilla world blocks and sprites are done. 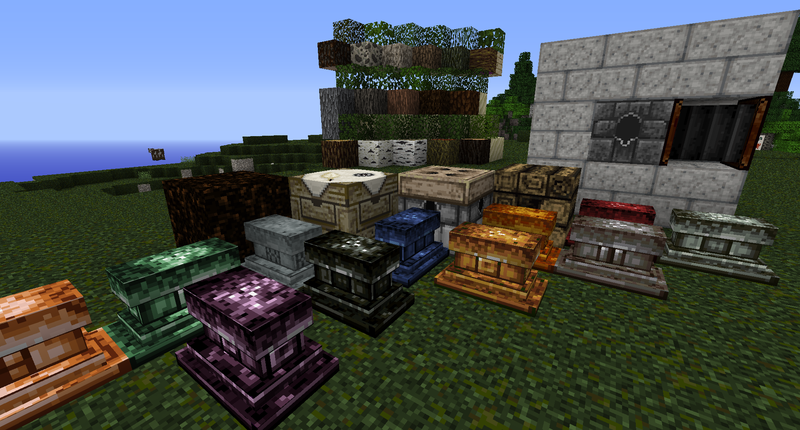 TFcraft world blocks: rocks, ores, trees, dirt, anvils, tables, bloomery, forge, firepit, all world blocks. needs doing mobs, armours, UI, vanilla flowers. granite, diorite, gabbro, siltstone, mudstone, shale, claystone. Smooth stone and bricks are in that order as read from the top right, right to left and down. raw stone has marble and slate before gneiss. I do enjoy what this pack looks like, EXCEPT the ores, which at the time of this post, appear rather rushed. I suggest making them a bit smooth, or making the ore look more like ore and less embedded stone. The best TFC texture pack. I have been using it as a base as I slowly make my own textures. The harvested rice item has a few green pixels that shouldn't be there. Alrighty, we gave this pack a try on the server tonight and while I like it it seems a bit too much over the top in your face. I have to say I love most of the crafted items I have seen (I would suggest for the glass that you look into supporting optifine's only border around the edges thingy). 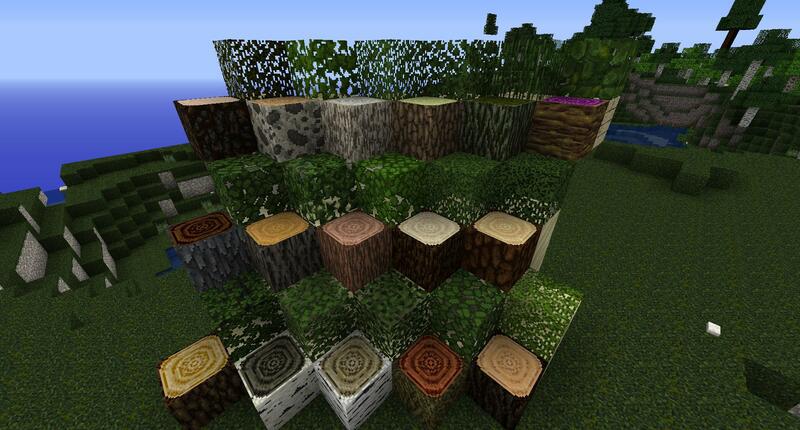 I also love the ores and what the trees look like. The fruit tree branches in winter I am attempting to get used to and am looking forward to seeing what they will look like year round. Overall though the pack seems to contrasting in everything except the ores is the best way I can put it. The stone especially.. I can tell you likely got quite a few images from geology.com/rocks and I want to pick on the Diorite as an example.. 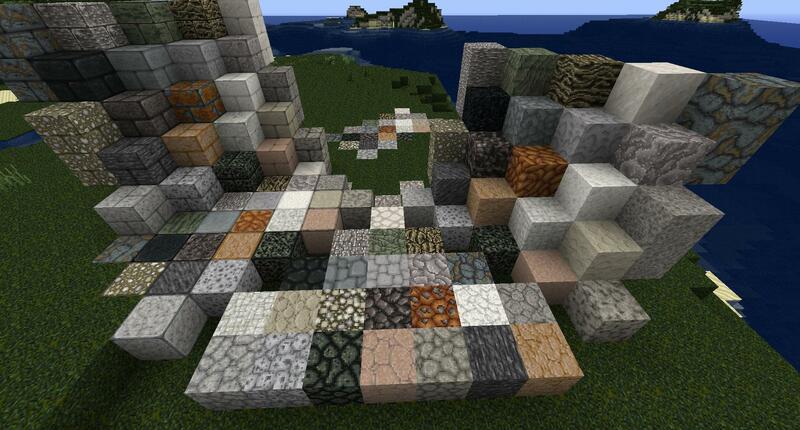 The image shown on that website roughly matches what you have done for the block texture. The thing that is getting me though is the resolution. The image on the website is of a piece of rock 5cm in size so the black flecks in it are about 1-2mm whereas the are pretty Huge in the texturepack. 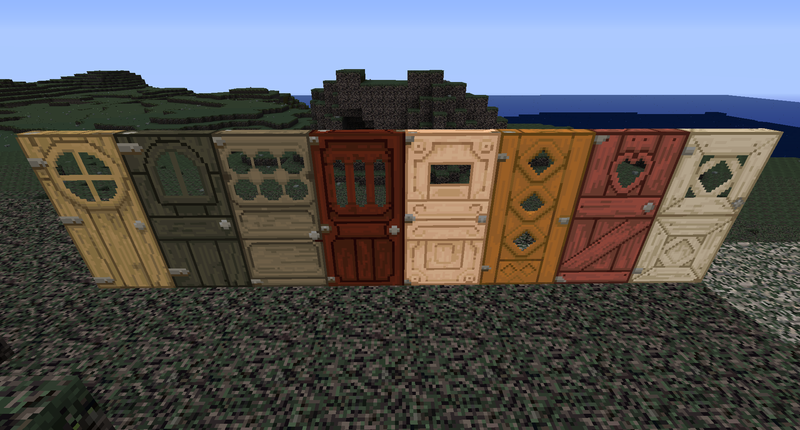 My overall suggestion is to tone down the contrast of things in the pack and make the textures a little less busy. I have to say that is what I really like about the ores. They are very simple but cleanly defined. There is no huge contrasting elements to them. Anywho, more feedback as I play with the pack more often. 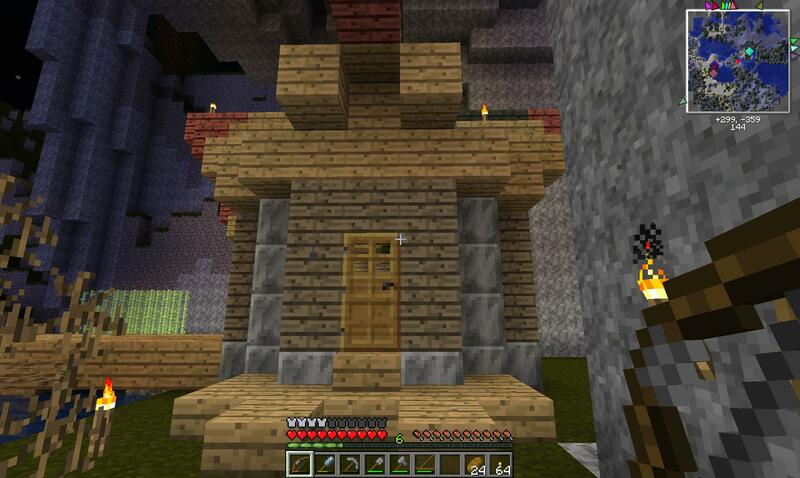 Included below are my house with the default textures and your textures just for comparison. I would say tone down the busyness of the wood panels for instance. The edging of the planks is good but the busyness in the planks seems a bit much. 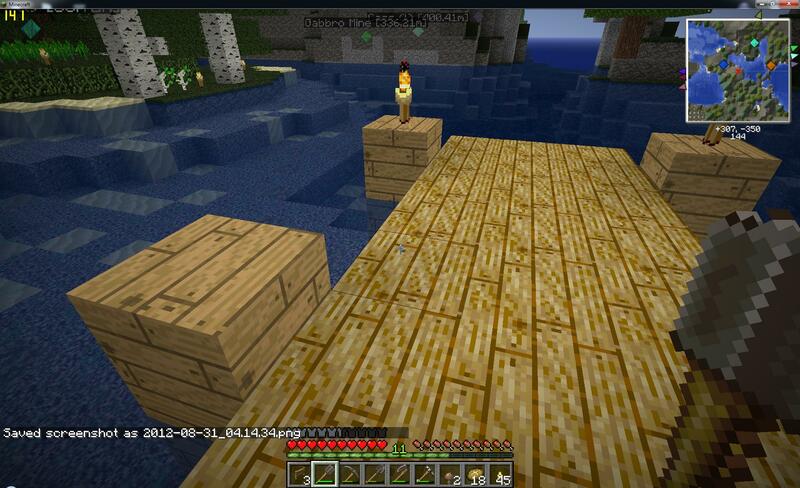 Capt_slowpoke, the terrablocks.png is missing 2 tiles, above the scribing table but I don't know what are those. Also, terrablocks2.png is mising 4 tiles, bottom left corner. And my feedback: For now, Kapok wood looks too much saturated. It looks purple painted instead of natural kapok wood. And why have you made red clay? thanks for the feedback, I play around with the textures constantly,I don't know what those missing tiles are, they look like a ladder and something else? Either way it doesn't look like they're used. There's a lot of unused assets in the texture files. As for the red clay, I've never seen blue clay before myself. All the clay where I live (and there's a lot of it) is red. Much better!, but please do the same desaturation to the Kapok support Beam!! Dude, thanks for this and the quick update in IRC.. 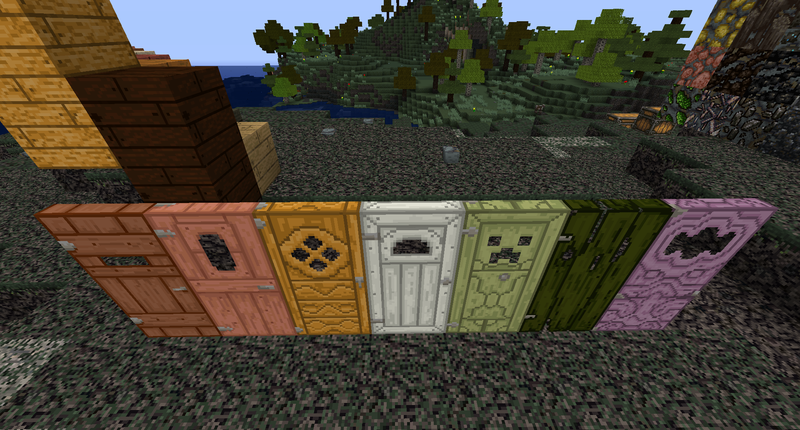 The new wood plank textures look very nice.. Here is a shot of Oak and Slab to see the difference (The slabs are still the old oak) and it still has all the definition that I like about your texture pack but with a smoothness to it. 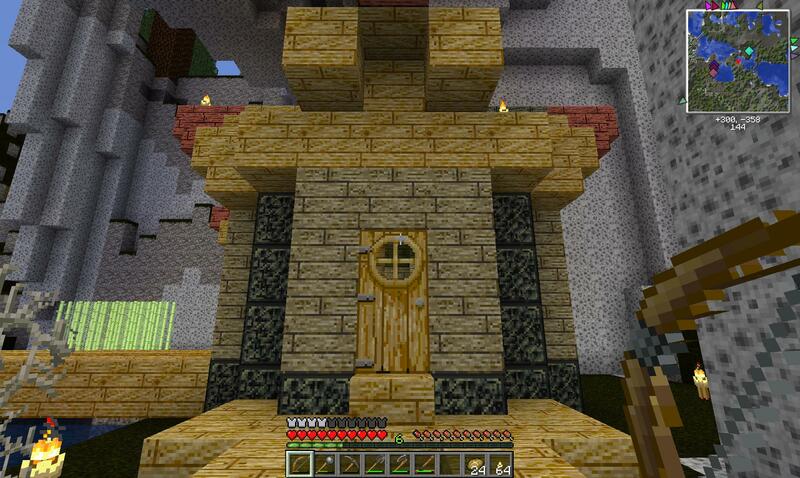 I don't use texture packs as a general rule of 'This looks amazing in John Smith but really stupid in vanilla'. I really want to see what this one looks like and being able to know ore at a glance sounds too good to pass up. Looks great! but i have one small nit pick with it, the borders of the ores are pretty strong, maybe it's because of the vibrancy of the ores. That's intentional, it's to make them stand out on both light and dark backgrounds, the originals have a huge problem with being invisible on the wrong kind of stone. Okay, this is the sole reason I don't use texture packs. LOOK HOW BADASS THIS LOOKS! How awesome would this be as a base?! Good job m8, cant wait to see plants and armor. great texture pack, keep up the good work. Hey Captian, is there any chance of getting the wood tone down work that you did for the plank textures expanded out to the other wooden objects like slabs stairs and supports? And while the stone is starting to grow on me I do think some of the smooth stones need more definition when smoothed as it is hard to tell them apart from their raw format. Diorite and Gneiss are the ones I can recall off of the top of my head. Ah i see, after experiencing the issue of missing ore right above my head, i understand the change, i will be switching to this tomorrow probably, great pack!